Capterra is an advisory services firm that helps organizations find the right software. We’re thrilled to be included in Capterra’s list of Top Learning Management System Software Reviews. 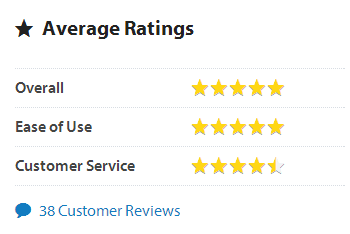 We’re especially grateful that so many of our customers have taken the time to provide reviews of Absorb LMS and the services provided by the team at Blatant^. Find out what people think about Absorb LMS by reading Capterra reviews.